*This post contains affiliate links to the products mentioned. It is also a Xyron Design Team collaboration with Simple Stories. Please read our full disclosure policy here. 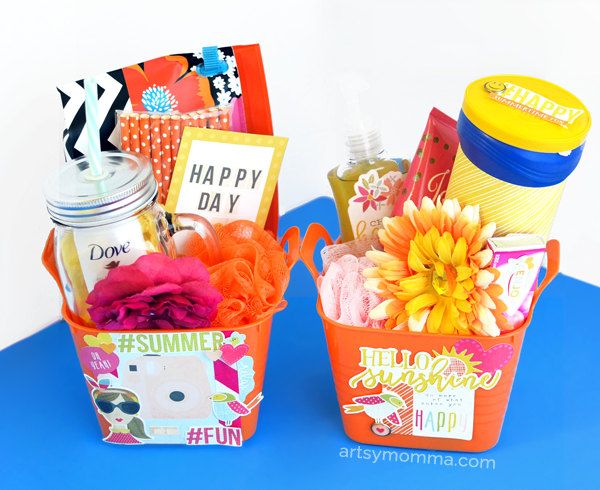 Mason Jar Cups – also from the dollar store. Travel-sized Soap , Lotion, etc. Yellow/Orange Candy – such as Lemonheads, KitKat, etc. 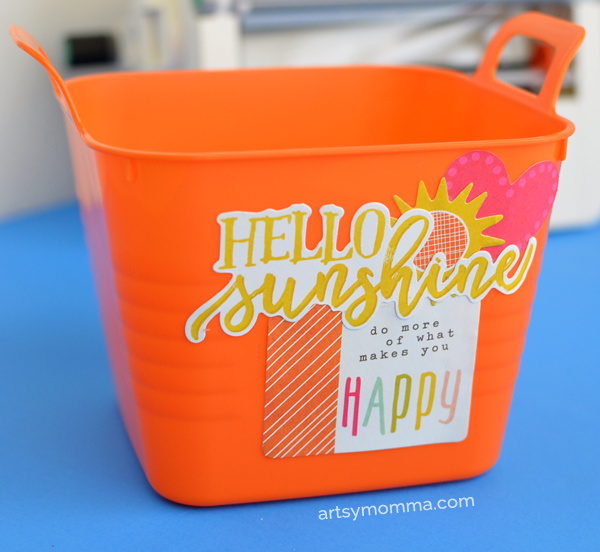 I started the project by choosing how to decorate the orange buckets. 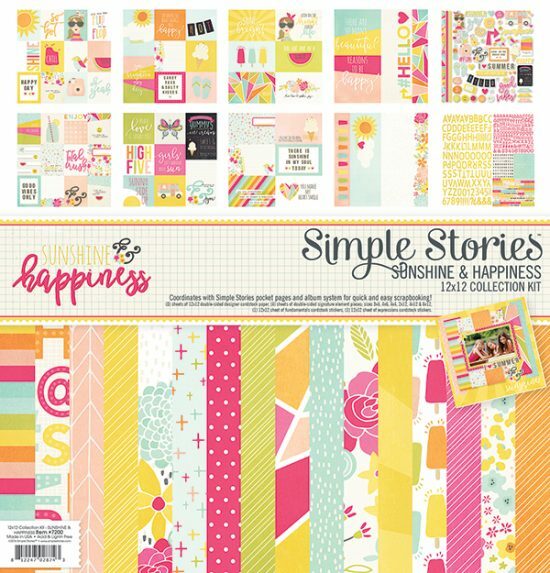 This was hard because I love everything in the Simple Stories Sunshine & Happiness Pack! 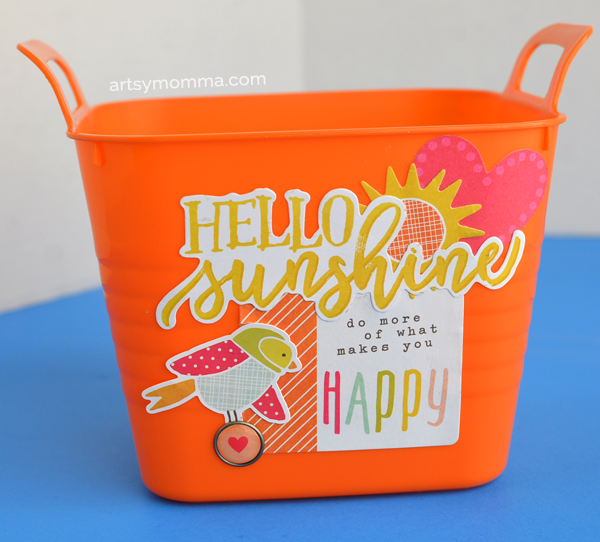 The pack includes 12×12 patterned double-sided cardstock, cardstock sticker sheets including letters and phrases, and sheets with different-sized elements (i.e. the 4 images in the top-left of the photo pictured above). I also used the bradz as well as the Bits & Pieces. I just adore the color combination and the cutesy designs and patterns. 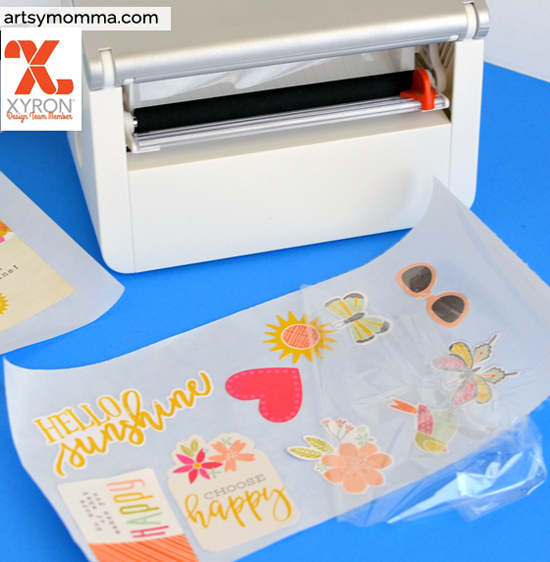 Once I chose a few of the Bits & Pieces designs, I placed through our Xyron Creative Station Lite to turn them into stickers. 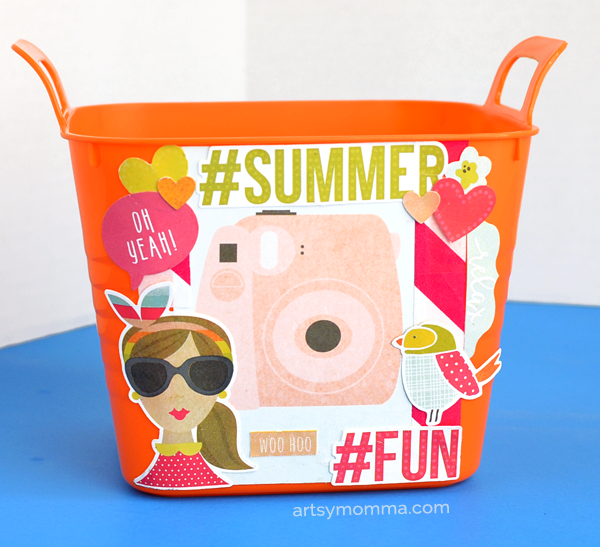 Now they quickly and easily stick to the front of the buckets…neat, right? All you need to do is pull the plastic film from the top and then peel the stickers off – easy peasy! I also used several of the cardstock stickers. Aren’t they the cutest and so happy-looking?! 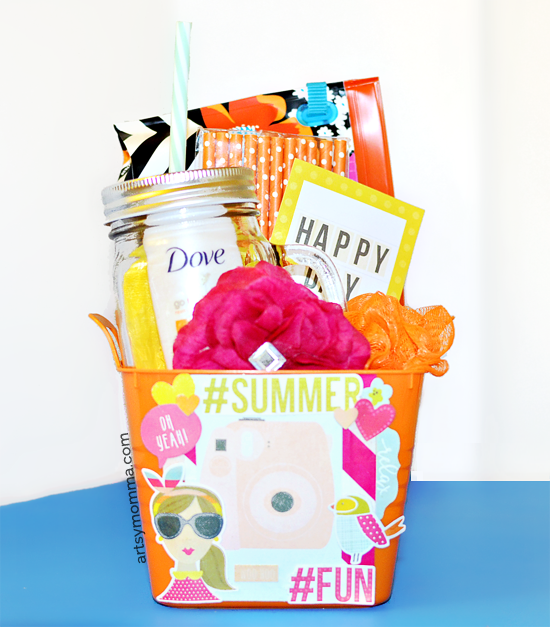 After decorating the buckets, it was time to do the same with the soap, chips, and gum. Like before, I made homemade stickers and also sent the patterned cardstock through the Creative Station. To make the soap dispenser waterproof, spray it with a clear sealant . Next up was filling the buckets with the goodies! I placed the taller items in first towards the back. In order to see the shorter items, I had to place crumpled tissue paper at the bottom just under where the shorter items went. Play around with the arrangement until it looks filled. 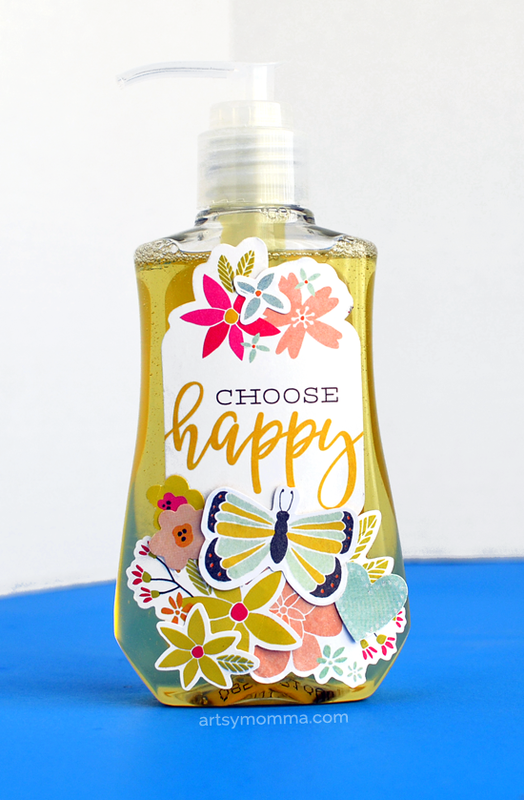 If you’d like, you could also cut out one of the rectangle elements sayings and place them randomly to ‘fill the spaces’ and add a little more cheer. Don’t forget to add a card or tag! Now it’s ready to gift to someone special. It could even be for someone that you don’t know as a random act of kindness. Head over to the Xyron Facebook page to see 10 days of crafty fun created by the Xyron design team using products from Simple Stories. 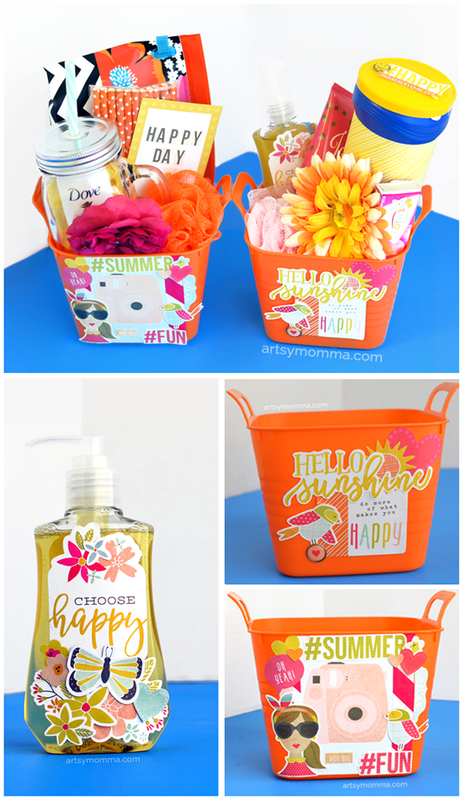 I saved one of our buckets to put together something cute for Little Sister. I’m still thinking of what to add that simple, yet useable (not candy…he, he). 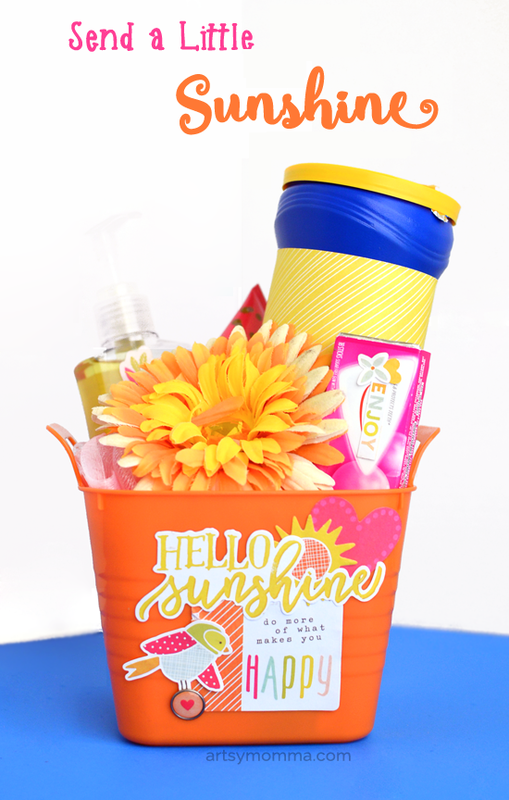 What would you add to you Bucket of Sunshine and Happiness Gift?